The Amazing Spider-man has already taken over Broadway, so it’ll only be a matter of time before it weaves its web all over the world’s cineplexes. 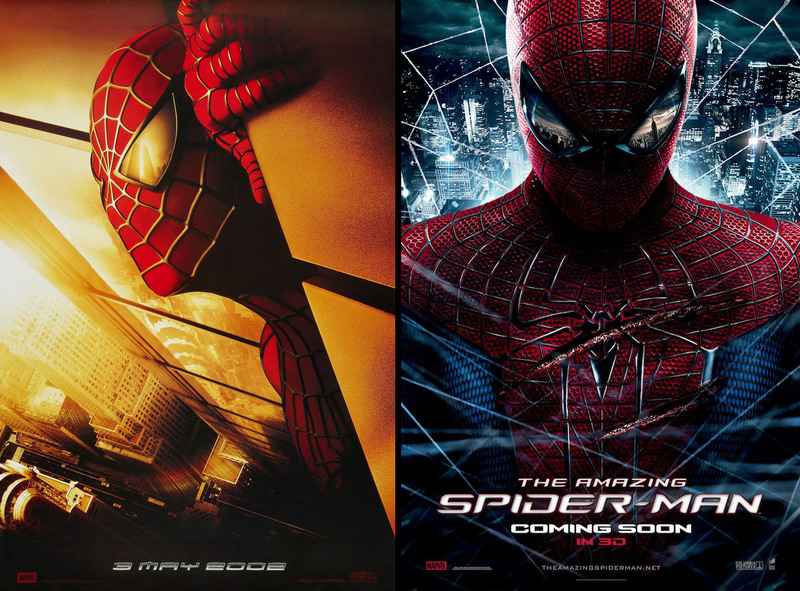 And Magnificent Mel of MoviePosterCollectors.com has pointed out the new teaser’s clever homage to the original 2002 Spider-man one-sheet (left), each poster respectively reflecting on two of NYC’s greatest landmarks, The World Trade Center and Empire State Building. This entry was posted in 2000s posters, Action movie posters, Pop Culture, Remakes/Sequels, Superhero movie posters and tagged 3d, andrew garfield, movie poster, one sheet, poster, Spider-Man, the amazing spider-man, tobey maguire by russ. Bookmark the permalink.